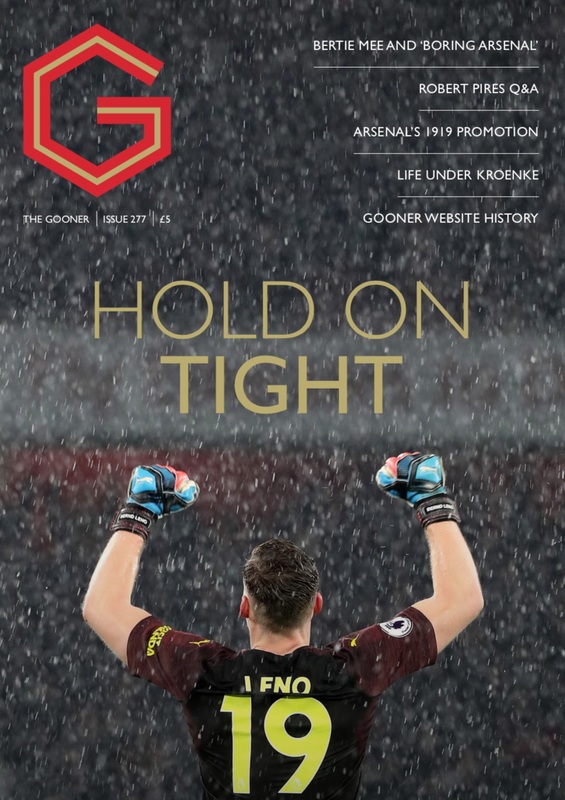 The Gooner issue 274 sees the usual blend of current and nostalgic offerings from our team of Arsenal supporting writers. 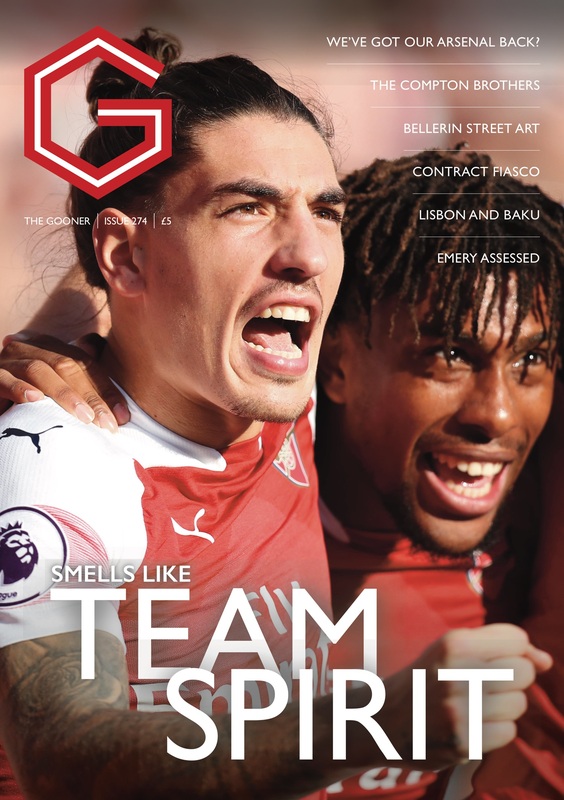 Looking at the modern day, there are articles assessing Unai Emery’s opening three months, thoughts on the contracts situation in the first team squad, what exactly the chant of “We’ve Got Our Arsenal Back” symbolises and one on the importance of beating lesser opposition. 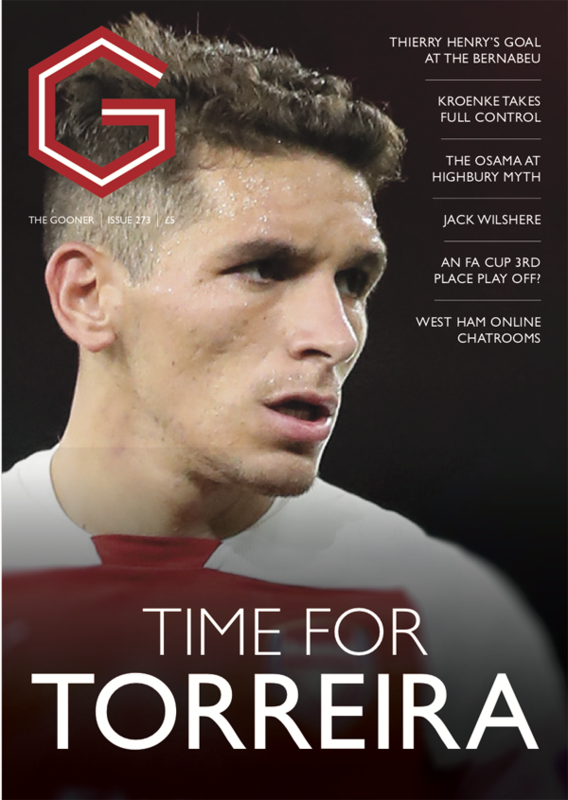 There are columns from the Spy and Mickey Cannon, alongside the Talking Reds editorial, and the funny pages provided by the creators of the now defunct ‘Up the Arse!’ fanzine. 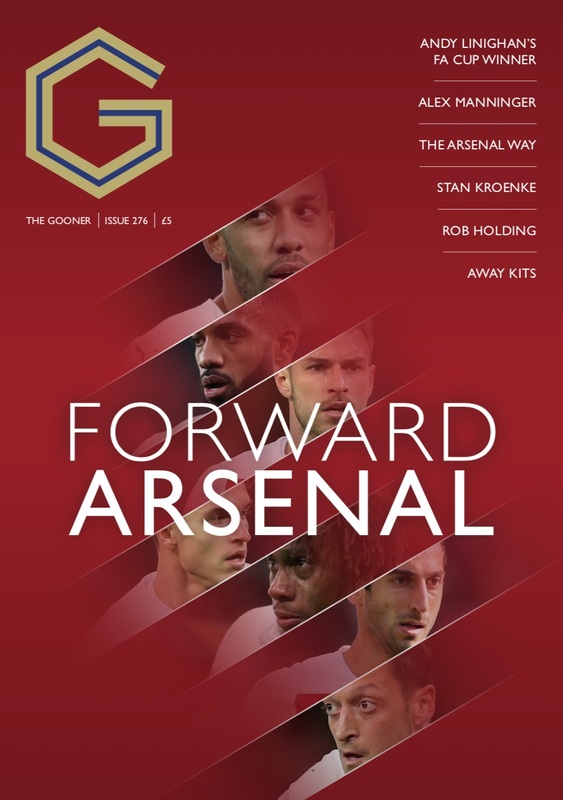 Added to these are offerings on Mesut Ozil, Arsene Wenger’s options weighed up for a potential next job, trip reports from Azerbaijan and Portugal, as well as Talking Point features for Arsenal’s recent matches. A look at some street art near the stadium featuring Hector Bellerin is another piece of topical content. 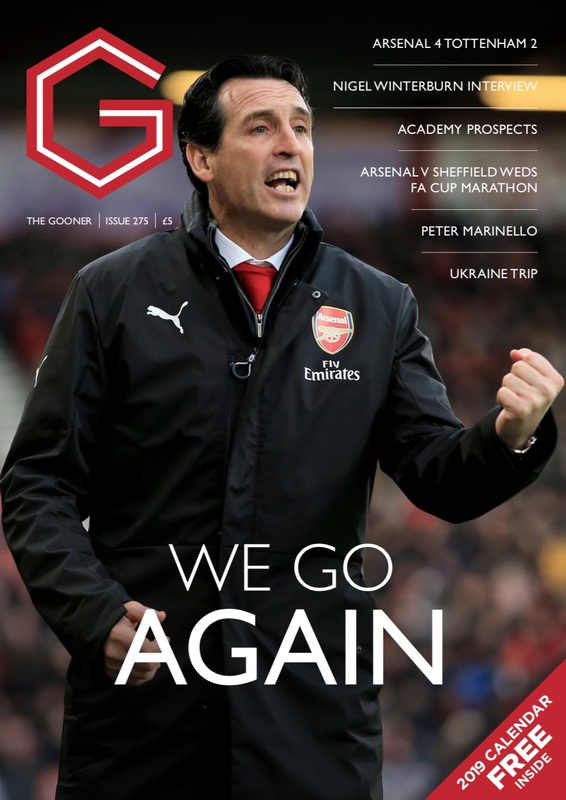 On the retro front, we have features on 80s striker Martin Hayes, a significant Mickey Thomas goal that wasn’t scored at Anfield in 1989, the Compton Brothers and there’s a look back at the first ten matches in the Arsenal managerial tenures of George Graham and Arsene Wenger to compare with how Unai Emery has performed. There are also regulars such as Well Played / Pain In The Arse! Inbox and In The Away End. So no shortage of reading matter in the 68 pages.